CPAPs (Continuous Positive Airway Pressure) are machines that push air into your airway to keep it open and positively stop snoring. 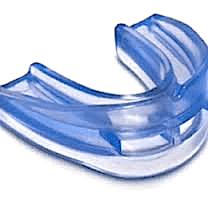 A ZQuiet is a mandibular advancement device or MAD that you wear inside your mouth. It keeps your jaw pushed forward and keeps your air passage open. Instead of being considered a CPAP device, the ZQuiet is categorized with anti snoring devices. CPAP machines have several parts including mask, hose, and filter, and require AC or battery power to function. ZQuiet is made of one piece of pliable plastic. People suffering from severe sleep apnea almost always opt for CPAPs. However, the MADS like the ZQuiet have a good record of success in stopping people from snoring as well. A ZQuiet is manufactured from soft, pliable plastic. Your mouth remains slightly open, allowing you to breathe through your mouth or nose. This permits people that have a deviated septum or otherwise can’t breathe through their nose to wear them. The device fits very loosely in your mouth. At first, you expect it to fall out but that does not happen. The cleaning process is one of the easiest of any MADS on the market. You merely need a toothbrush and dish soap, then rinse it off with warm water. We were surprised when, upon opening the box, there were four ZQuiets. When you order one, the company sends you two, one that is smaller than the other is. The directions tell you to slip each one in your mouth to determine the best fit. If, as in the case of my wife, the ZQuiet is too big, the company provides directions on how to trim it with scissors. The first night went well. My wife and I awoke refreshed. I did hear my wife snore very softly, but she claims I made no noise. My jaw, however, was a bit sore after that first night. However, apparently my mouth adapted well as by the second morning I felt fine. 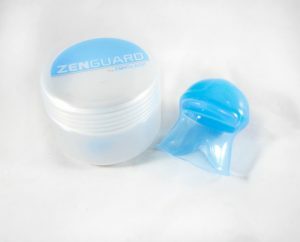 Talking too, unlike some stop snoring devices, was easy since the ZQuiet did not require your mouth to close completely. The cleaning was the fun part. The one-piece construction meant no crevices that took special care to clean, so within a minute or two we were done. The CPAP, though relatively simple to operate, comes in several parts. There is a mask, tubing, the actual machine/air pump and filter. The mask slips over your head and you use nasal plugs. Once you have it all together, using it the first time requires simply slipping the mask over your head, adjusting the straps and plugs, and then turning the machine on. You must disassemble it for proper cleaning with warm soapy water. You may also need a CPAP humidifier, which costs extra, as the dry air pushed into your airway can be uncomfortable to some. You cannot purchase a CPAP with a doctor’s prescription. If you don’t go to your own physician for a sleep assessment, you will need to fill out a questionnaire provided by the CPAP company, and let their doctors evaluate and approve you as a candidate for the machine. The approval process through the company’s doctors may take a week to ten days. With the prescription, you can order the device. Most ship immediately. To clean it, first you disconnect all hoses, the mask, and remove the filter from the machine. Then you clean each part with warm soapy water. You can wipe down the machine with a slightly damp cloth. Most companies recommend cleaning once a week but users tend to clean it at least once every other day. The CPAP works. You will not snore if you fit the mask and wear it properly. The ZQuiet, unless your doctor orders otherwise, costs much less than a CPAP. Unless your medical insurance covers it, the CPAP can be very expensive. The ZQuiet cleans much easier than the CPAP does. There are no moving parts and nothing to break or replace. 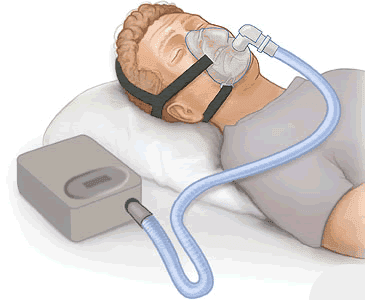 Sleep apnea suffers may find that the CPAP is a medical necessity. In that case, you probably have a good chance of your insurance covering all or part of the costs. 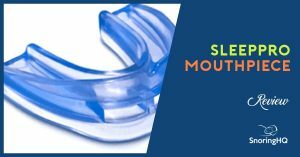 Note that the ZQuiet trial also let’s you try the snoring mouthpiece for a reduced price for the first month.